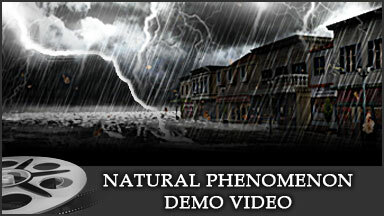 This pack includes all kinds of natural effects such as rain, lightning, snow, falling leaves and much more! It even includes falling stars, moon visuals, and the Milky Way Galaxy with instructions for users to directly apply directional effects and particle density without the need for adjustments. 7 of the above Props are iprops. Note: Terrains, Avatars, Buildings, Trees and Rocks in the Flash Demo are not included in the pack.